Joe Krebs of NBC4 Washington today announced he will retire on March 30 after 32 years as a News4 anchor and reporter. Krebs spent the last 18 years anchoring NBC4’s No. 1-rated morning news. News4 anchor Aaron Gilchrist will join Eun Yang as co-anchor of News4 Today upon Krebs’ departure, the station announced. Krebs says he is looking forward to sleeping past 2 a.m. and enjoying retirement in the Washington area with his family. He will also continue working for News4 as a contributor. Krebs joined News4 in 1980 from WBAL-TV in Baltimore. Prior to that, he served as an assistant Public Affairs Officer aboard the U.S.S. John F. Kennedy and an assistant prosecutor in St. Louis before pursuing journalism professionally. 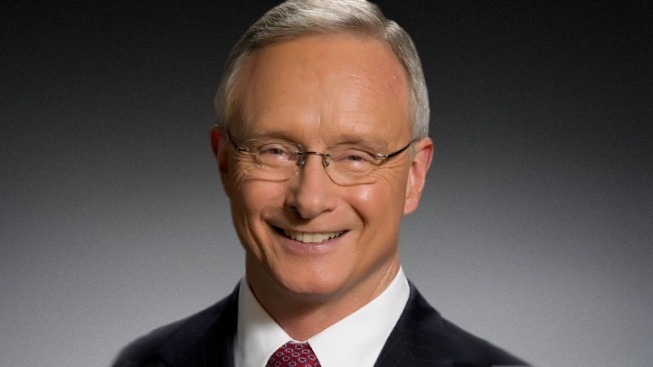 In addition to reporting and anchoring, he has served as President of the Washington-Baltimore Local of the American Federation of Television and Radio Artists and has been a mentor and friend to hundreds of News4 staff members and interns over the years. Gilchrist joins Eun Yang on the News4 Today anchor desk beginning April 2. He has spent the last two years as a weekend anchor and has been a substitute anchor and reporter for News4 Today as well. A Virginia native, Gilchrist spent 11 years at the NBC station in Richmond, much of it as part of its morning news team, before joining NBC4 two years ago. After a well-deserved vacation during the week of March 5, Joe will return to the anchor desk through the month of March. During the week of March 26, a special week-long tribute to Joe will air during News4 Today.